While it’s common to have a collection of cozy-chic toppers on hand to tackle the chilly temps, unseasonably warm days call for garments that are much less lightweight. Sure, a trusty leather jacket can suit our needs, but if you’re like Us diversifying your outerwear vault is a true necessity. At Shop With Us, we love a stylish coat but we’re fully aware that the cool temps don’t span everywhere. After all, there is no telling what Mother Nature has up her sleeve. So, in our search for a coat that will keep Us warm while keeping milder days in mind, this belted trench coat is just the ticket. It’s time to get your wallets ready! 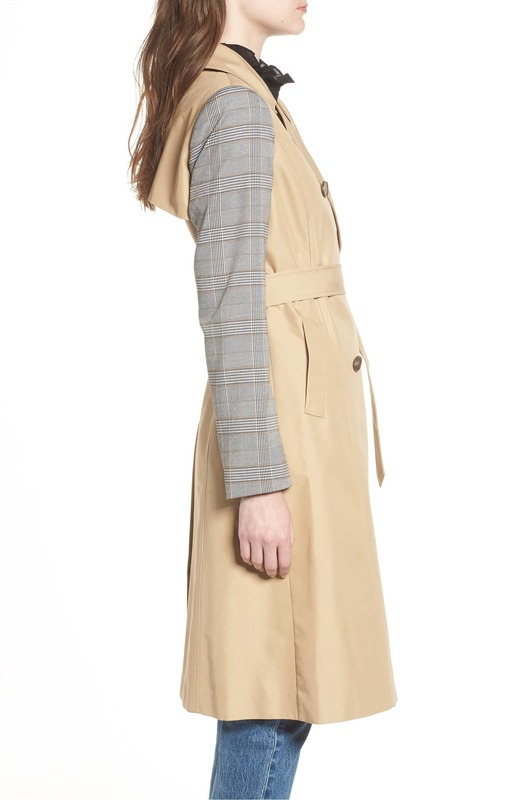 We are excited to add the Mural Belted Trench to our closets. As functional as its stylish, this topper exudes classic flair with a touch of up-to-date styling for a winning pick. Crafted with a cotton and polyester fabric blend, this piece is designed with comfort in mind. See It: Grab the Mural Belted Trench at 60 percent off the original of $128, now $51 while it’s still in stock. Not your style? 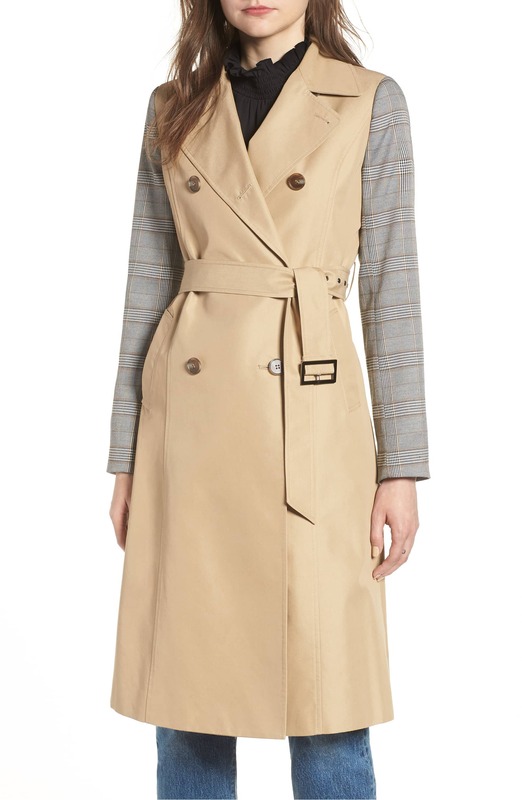 Check out other trench coats at Nordstrom! Boasting a modern twist, this jacket features shoulder pads for a structured, yet defined finish. Providing the staple details we love in a trench, the notch collar, storm flap and back vent give this coat timeless appeal we can’t get enough of. The pleated along the center of the back also tips the scale for a smart-tailored piece. Complete with a traditional front button closure, a double-breasted build and button details on the interior to support the bust, the garment covers all the bases. Even better, the belt that cinches in the waist helps Us to highlight our hourglass figure for a curvy silhouette. With the choice of a fitted or relaxed look, this coat will certainly rack up a lot of wear miles with our wardrobe. We are absolutely loving the tan plaid style. A neutral that will pair well with our versatile wardrobe, we plan on serving up a medley of during the chilly weather season and beyond! Normally retailing for $128, we can now snag this coat at a mind-blowing 60 percent off markdown, leaving Us with a $51 price tag. No, you’re not going nuts! We can actually scoop up a stylish trench for less than $60. Thank you, Nordstrom! We take pride in flaunting a fashion-forward overcoat and we can’t wait to wear this trench with trousers, a pocket tee, mules, an embellished brooch and an elegant tote bag for an office-ready ensemble. We can even switch it up with skinny jeans, over-the-knee boots, a turtleneck and a hobo bag to run errands in style. For date nights with our beau, we’re teaming this staple with strappy heels, a cross-body bag, a bold lip and a bodycon dress to make a flirty statement. Going out dancing? Trade in your heels for sleek boots for a more comfy option. We can even keep our look relaxed with low-cut booties, leggings, an oversized sweater and a shoulder bag to seal the deal. Opting for a sporty take to your look? Slip on a cool pair of kicks and a stylish backpack for a chill finish. The classic style and impeccable quality have made this coat a standout pick for Nordstrom shoppers. Reviewers adore the flattering fit and versatile construction, while others love the minimalist menswear touch for a stylish update. 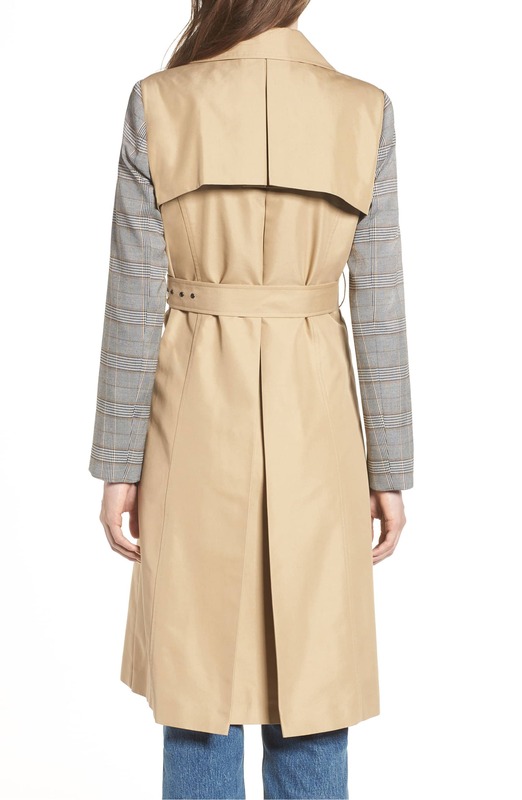 Shoppers also dig that this trench looks way more expensive than its price tag, with others praising its stunning craftsmanship. One reviewer shared this coat is a beautiful statement piece. Dubbed as the perfect everyday coat, this design is an undeniable essential for many fashionistas. Reviewers love that you can dress this coat up or down with ease, while others love that this jacket pairs well with virtually anything in your closet. One shopper noted that coat will look amazing with skinny jeans and over-the-knee boots. With sizes extra small to extra large currently available, this jacket deserves a spot in our outerwear vault. While we always keep a keen eye on the Nordstrom sale lineup, we’ve never seen such a fabulous pick at such an insane markdown. The ideal topper that will certainly complement our style and combat the unseasonably warm winter temps, you’d be hard pressed to find a better alternative. Don’t be afraid to spoil yourself and give your closet the chic essential you need.